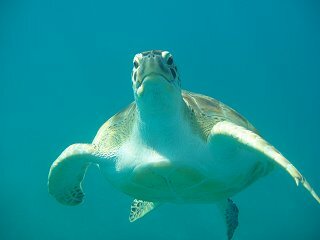 Come swim with the turtles in Barbados! Are you feeling adventurous? 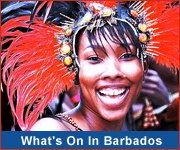 Do you want to explore Barbados from another perspective? Perhaps you wish to see Barbados the way a hawksbill or leatherback turtle sees this tropical paradise? Look no further. Come join us here in beautiful Barbados where there's a wide range of cruises and tours that take to swimming with the turtles. Most turtle tours are on catamarans which provide lunch, masks and snorkels. It's a great day out - sailing down the beautiful coastline, a delicious lunch, rum punches and other drinks, and of course seeing the magnificent turtles and snorkeling in the Caribbean sea. 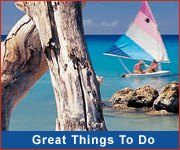 Some tours include stops at the beach and snorkeling over shipwrecks. If you're a people person, choose one of the larger catamarans. There are smaller catamarans for those who prefer a more intimate experience.If you're visiting by cruise ship, choose one of the shorter cruises (say 3 hours) that starts earlier in the day so you don't feel rushed and still have time to shop or explore the island. Have a look below at some of the turtle cruises and tours available. Shop around to find what's best for your budget and requirements. Enjoy exciting snorkel and swim adventures with friendly sea turtles along the west coast, with Small Cats Cruises! Small Cats specializes in smaller, more personlised cruises with the emphasis on intimacy. Swim and snorkel with the gentle sea turtles when you sail with Action Charters Catamaran Cruises. This unforgettable experience makes your holiday extra special. Choose Billfisher III Fishing Charters for that family adventure you've been looking forward to. Swim with the turtles, snorkel, fish and have fun! Experience a fun-filled day while swimming with the turtles, rope-swinging and walking the plank in the crystal clear waters of the west coast on the Jolly Roger pirate ship. 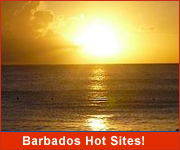 Enjoy the beauty of the underground and underwater world with Scenic Barbados Tours. After a visit to Harrison's Cave, this combo tour takes you swimming with the intriguing sea turtles. Enjoy turtle walks and snorkel trips to turtles with Barbados Blue, located at the Hilton Hotel Peninsular. Hilton beach is the densest Hawksbill Turtle nesting beach in the Eastern Caribbean, so you are almost guaranteed to see one while snorkeling, kayaking or diving with Barbados Blue!